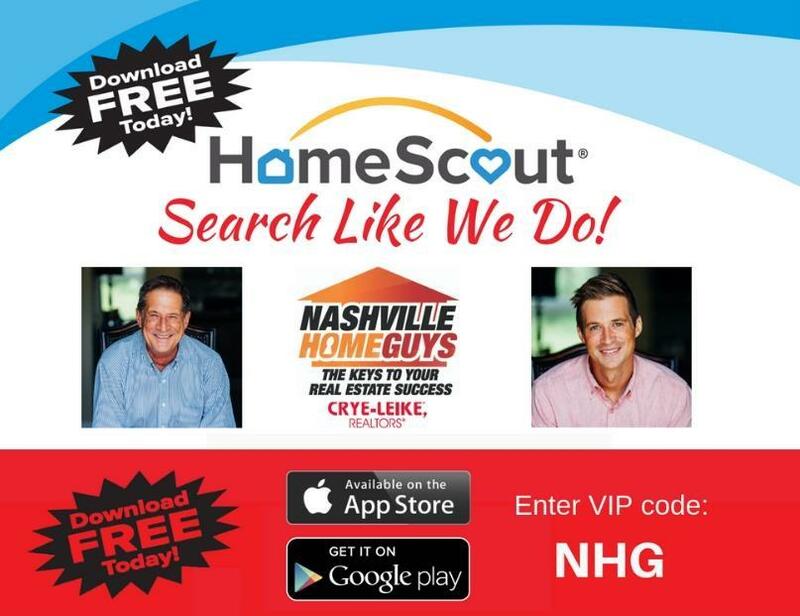 HOMESCOUT – This mobile app is probably the one of the most valued components of the Nashville Home Guys. This is cutting-edge home search technology that hooks you into the same MLS system Realtors use. It allows you to set up searches in the areas of the Middle Tennessee that you’re interested in and as new listings come on the market, the system will email you allowing you to be among the first to see them. And in a competitive market like this one that can be a huge advantage in getting you the home you want. Websites like Zillow and Trulia can be a great tool but they only give you a fraction of the listings in Middle Tennessee. If you have an iPhone or Droid, you can download the free app which will bring you all the new home information you want while you're on the go! This app will allow you to find out what's on the market in neighborhoods you might be driving around. In addition, it has a notebook feature that allows you to save houses you like and if anything changes about that listing (i.e. status, price changes, new pictures, etc. ), the system will notify you of the changes by email so you can be on top of all the information available. The system will also give you valuable information about the make-up of areas including demographics, income and education. With you using the HomeScout app and Steve & Sam also running searches, there won't be a chance you miss the home that's perfect for you! Download the HomeScout app today and get ready to buy a house in Nashville, TN! 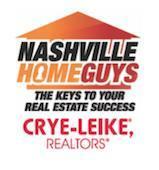 On HomeScout 100% of all the listings in Tennessee are updated every 15 minutes. And remember the Nashville Home Guys.....we'll get you movin'! CHURCHILL MORTGAGE – Churchill Mortgage provides the HomeScout technology to enhance their top partner Realtors' services and to give their clients the best information to make their buying decisions the best they can be. Churchill was founded in 1992 in Brentwood. They have become one of the most prominent and financially sound leaders in the mortgage industry. They have earned the reputation as a mortgage company that can get loans done that other companies have not been able to. They are also the only mortgage company that financial author and talk show host, Dave Ramsey, has ever endorsed. Dave’s endorsement is based on his personal knowledge of Churchill’s owner and executive staff, as well as his confidence in Churchill’s service commitment to each and every customer. Dan Kraus - Churchill Mortgage Loan Officer – Steve has been working with Dan for 9 years helping hundreds of clients buy a house in Nashville, TN. Dan’s commitment to his clients’ needs mirror the Nashville Home Guys', which has been the foundation for a hugely successful partnership. ACCURATE MORTGAGE – Matt Hawkins and the Nashville Home Guys both believe that the most important role in their lives is helping people get from where they are to where they want to be. In his 14 years as a mortgage lender, Matt has helped hundreds of families buy a house in Nashville, TN. As a mortgage broker, Matt strives to ensure his clients are comfortable and well-informed every step of the way. The dedication, skills and perseverance that Matt honed over the years in mortgage lending are the same ones that has established his success in completing 100 mile mountain races. And Matt, like the company he works for, Accurate Mortgage, will definitely go the distance for you! Chapman & Rosenthal - An attorney owned and operated real estate title and escrow company located in Green Hills. The company specializes in facilitating residential and commercial real estate transactions with over 20 years of combined experience and expertise. Jay Alexander is our chief contact at Chapman & Rosenthal and has been involved in closing hundreds of real estate transactions for our clients. 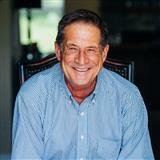 He represents the firms' commitment to excellence. His thoroughness, coupled with a true team approach at the company assures you of expert, cost-effective and comprehensive legal counsel for every transaction. THE HOME GROUP INSPECTIONS – Dan Rauso’s The Home Group is ready to serve your home inspection needs with affordable rates and a keen eye for details. Dan’s 25+ years in the construction industry has provided him with a wealth of hands-on building experience to make sure when you buy a house in Nashville TN that it is in top condition!